Short Business Description: They have a wide variety of cold and hot foods. 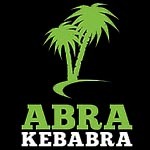 You can choose sandwiches, wraps, baps, salad or from their carvery menu that changes daily. They also know how time consuming waiting for your lunch can be, so if you work in the City Centre and are pressed for time, don’t worry they do take out. 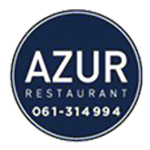 Short Business Description: Azur Restaurant Limerick offers classic European style cooking with dishes ranging from their signature Trio of Seafood and local Lamb Cannon to our succulent, juicy Steaks. Short Business Description: Bambu is located on O’Connell Street in Limerick City. This delightful restaurant serves a wide range of modern and classic Thai and Indian dishes. They recommend you sample the delicious ‘Chilli Beef’ which is stir fried strips of beef with chillies, peppers, onions and sweet basil leaves and bamboo shoots. Short Business Description: Food in an Italian Restaurant starts with family and theirs is no exception. With over 26 successful years as a brother and sister run business, they have the pleasure of working with family every day. From behind the scenes to front of house family is involved in every aspect of their business. With dishes made to their own Family recipes, they believe simplicity allows quality ingredients to speak for themselves. 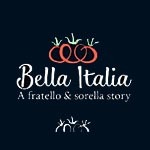 they attribute the strength of their ‘Bella Italia’ recipe to unfailing family and loyal customer support over the years. 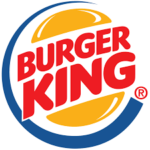 Short Business Description: Every day, more than 11 million guests visit BURGER KING restaurants around the world. And they do so because the burger king restaurants are known for serving high-quality, great-tasting, and affordable food. 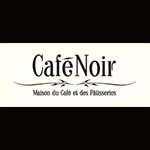 Short Business Description: What we wanted was simple ‘to introduce a French Café culture but with an Irish twist’. Our ambition is to channel the brilliance of French tradition whilst adding our own touch of Irish inspired artistry. 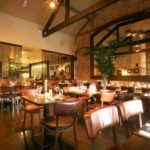 Short Business Description: Cornstore Group with restaurants in both Cork and Limerick City centres, off¬ers a casual, warm and lively dining experience, complete with a unique wine & cocktail bar, both restaurants are now approaching almost a decade in business! 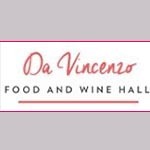 Short Business Description: Da Vincenzo Italian Food & Wine Hall is where you dine for pure Italian authenticity. If you can’t travel to Italy, let Vincenzo and team take you there in a few sittings. Vincenzo was brought up in Italy in the tiny streets of Naples where he learned to perfect the art of great pizza & pasta at he’s grandmother’s knee. Short Business Description: They’re passionate about delivering hot, great tasting, freshly handcrafted pizzas to customers. This relentless focus has helped them become the UK’s leading pizza brand, in addition to being a major player in the Republic of Ireland and several other markets, including Iceland and Norway. Short Business Description: The Dovecote Restaurant offers a fresh range of dishes to please every visitor’s palate. All their food is fresh, seasonal and homemade and is sourced locally. 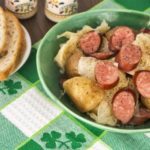 Enjoy a healthy breakfast, lunch or light snack, savour authentic Irish cuisine in a casual style restaurant. Short Business Description: Opened on 26 July 2003, Dragonfly Chinese Restaurant, Limerick, Specialising in Chinese Cuisine. Find location, contact details, opening hours, phone numbers and booking information for Dragonfly Chinese Restaurant. 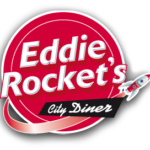 Find other Restaurants in Limerick and all over Ireland. 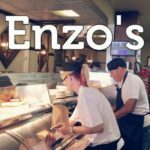 Short Business Description: Eat in or take out, Enzo's has you covered! They always have the freshest chips and are located right in the city centre! Short Business Description: Esquires Coffee is all about exceptional coffee and superior customer service in a warm and friendly, environment. As an international franchise, they stake their reputation and their growth on the quality of their coffee, the expertise of their people, and the effectiveness of their partnership model. From the friendly smile of a barista to the daily dedication of their franchise owners, they are a team of people who pride themselves in the Esquires brand. Short Business Description: Welcome to Express Pizza located on Lord Edward Street, Limerick. Delivering fast food and unique flavours. 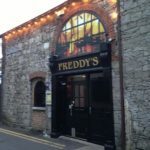 Short Business Description: Freddy's Bistro is run by three sisters - Liz Phelan (owner), Caroline & Maeve, who continue to offer clever menus and consistently pleasing dishes. The inviting stone and brick façade of this 19th-century building draw diners into a stylish and well-lit interior, where they are pleased to greet their guests and will make you feel right at home. 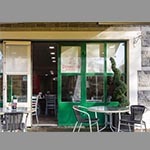 Short Business Description: At Fusion Chinese Restaurant in Dooradoyle, Limerick they offer authentic Vietnamese, Chinese, Malaysian and Thai style cuisine, all freshly prepared by their expert chefs. You'll find an extensive menu with dishes to suit every taste with an à la carte menu.